Something I continue to do religiously are my nails. It's funny because I never used to have them done, but I got on the band wagon a few years ago and now like clock work, every two weeks, I sit down with all my nail supplies and some shows I have to catch up on and do my nails. 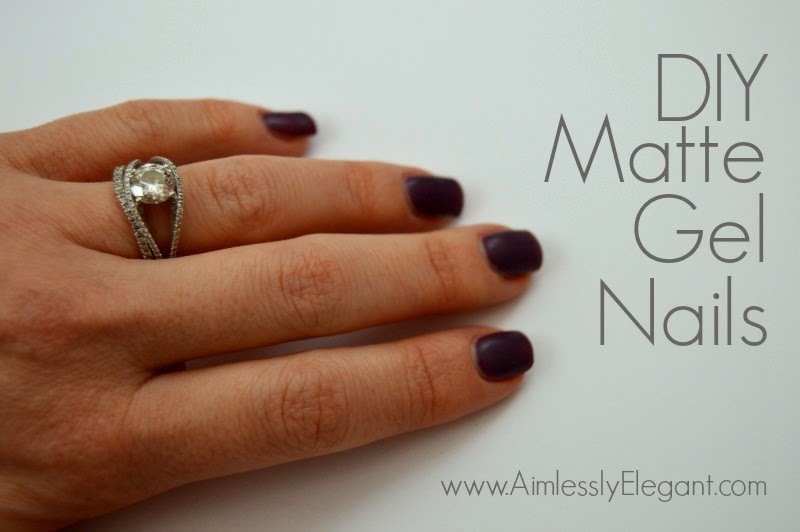 Last year I shared how I do my own gel no chip manicures at home. My routine hasn't really changed, the light I've had for probably 2 years now is still going strong, and I love the wear I get out of the Red Carpet Manicure polishes. Ulta carries a great color selection and often they have B1G1 50% off promos, and you can always use your $3.50 off $10 coupon, which makes stocking up on way too many colors way too easy! Lately I've been digging the matte nail finish I've been seeing on other peoples salon manicures, and I have started to see some matte top coats hit the shelf for regular nail polish. I can do regular nail polish on my toes, but I have never been able to get it to last on my hands. I can never get past the drying stage! 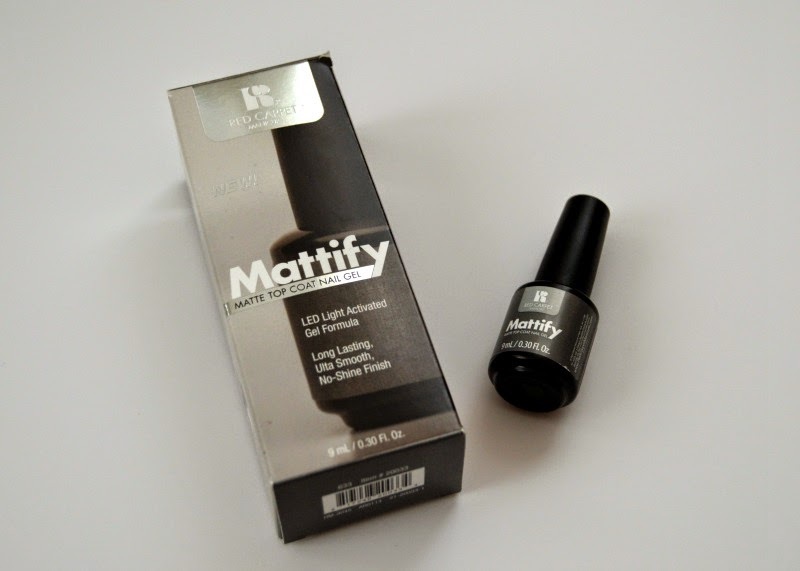 Needless to say I was excited when I saw that Red Carpet Manicure came out with their own matte top coat, Mattify. *Right now the Mattify is listed as Out of Stock on their website, but I was able to find it at my local Ulta. All you have to do is follow your usual steps for your gel manicure, finishing with this top coat instead. It's so easy to do, don't be intimidated if you've never tried your own gel manicure before and want to try. I'm horrible at painting my nails with regular polish and find it to be so much easier with the gel polish, I think it's the slightly thicker consistency. Plus it gets better with practice. I love the results, and I love that it essentially doubles the amount of looks I can create with all the colors in my collection because it can be layered on top of any polish. The Red Carpet color I used for the manicure was Publicity Stunt. I took these photos after a week, they're not perfect, but I like to think that they pass! I love that I can get two weeks of great wear out of these manicures, and a week in they still look great. 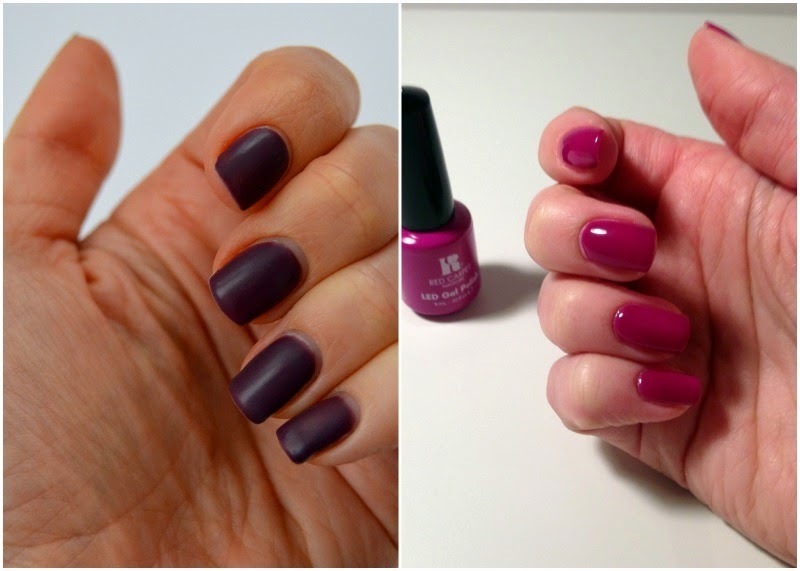 Here is a little side by side comparison of the Mattify Top Coat versus the traditional Brilliance Top Coat. 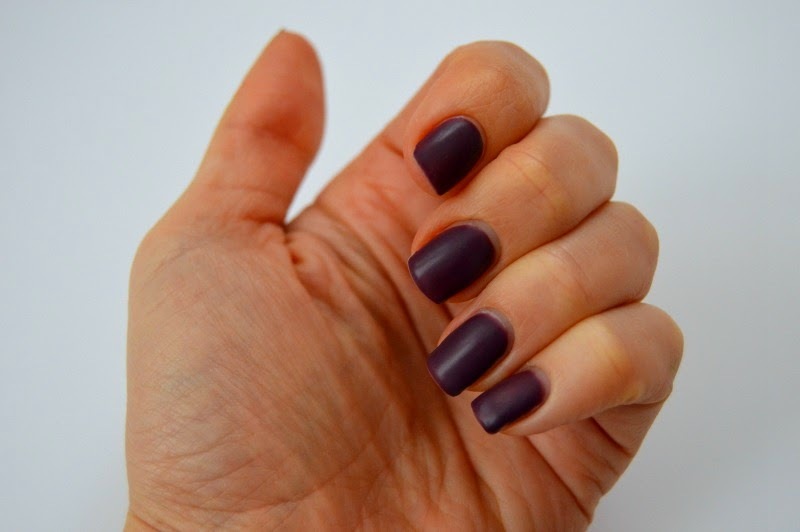 What do you think of matte nails, have you jumped on the trend? I love matte top coats - I've had a few in my collection ever since they came out years back. I love to do my own nails, so I may finally have to look into/invest in my own light so I can get gel-like results. I'm just a sucker for a nice high gloss manicure--but the matte trend does intrigue me! I definitely like it on other people, but I'm not sure I could rock it myself. I've loved doing my own gel manis at home, but I always have trouble with the removal. I ruin my nails. Do you have any tips on removal that doesn't do so much damage? I'm also a nail junkie that's in love with gel manicures and hand painted nail designs. I like the matte look but I haven't tried it yet. I have a nail appointment on Friday and I think I might try a Valentine's day design with a matte finish. Your nails look great!!! Definitely do, I think they are so worth it! And you can get a pretty decent one for pretty cheap, I didn't spend too much on the initial kit and I still have the light years later, I keep waiting for it to go out, but so far so good! You know I didn't know if I loved it on myself when I first did it, but I always like how it looks on others so I figured it would grow on me, and it did! I just like that I have the option for something different, but shiny nails always look so good! I think I've finally come up with a method that doesn't do any damage to my nails, at least if I'm patient, and that's the key. First I take a file and break the top coat, the better you do this the easier it comes off. Then I use acetone and the Red Carpet Manicure foil wraps, that I found at Ulta. I wait for about 20 minutes, and then I use a metal scraper tool to scrap it off. I'm careful that if it's not coming off too easy I put the foil wrap back on and let it sit for awhile longer, for me if I try to scrap it off when It's too hard still that's when I end up taking a chunk of my nail with it. Removing them is definitely my least favorite part of the whole process! Thanks! I wish I had thought ahead to do some Valentine's day nails, I'm sure yours will turn out great with the matte look! I'm loving the matte look! Might have to try this...thanks for sharing! You should give it a try, it's fun to do something different!